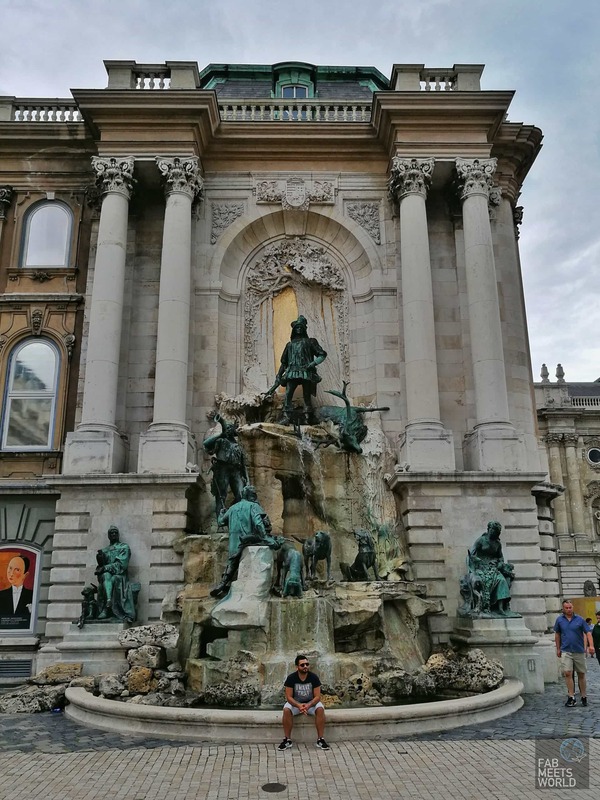 Our first two days in Budapest were mostly spent in Pest, so for the third, we wanted to cross the bridge and explore more of the Buda side of the city. 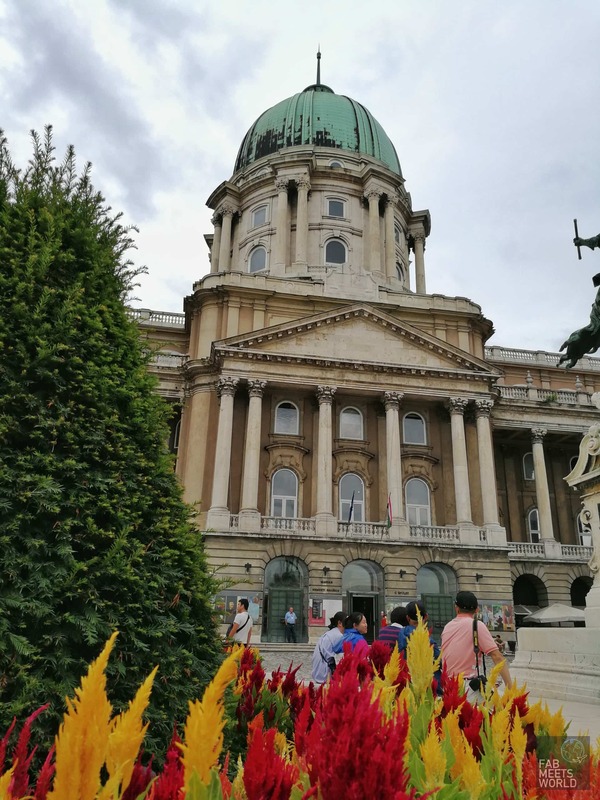 On the priority list were Buda Castle and the beautiful gardens below it. Watch our day below, and if you want to see some photos of what we got up to, scroll further down this page! Although it was pouring down with rain that day — and I hate it when it rains  — we tried to make the most of it. We grabbed some lunch and as soon as the skies opened up a little, we headed straight for the gardens and wow was it worth it. Look at the photos below for yourself! Admittedly it isn’t the biggest garden I’ve ever been to, but the strip is very nicely done and honestly, I could probably spend a good hour or two just chilling out there on a summer day. 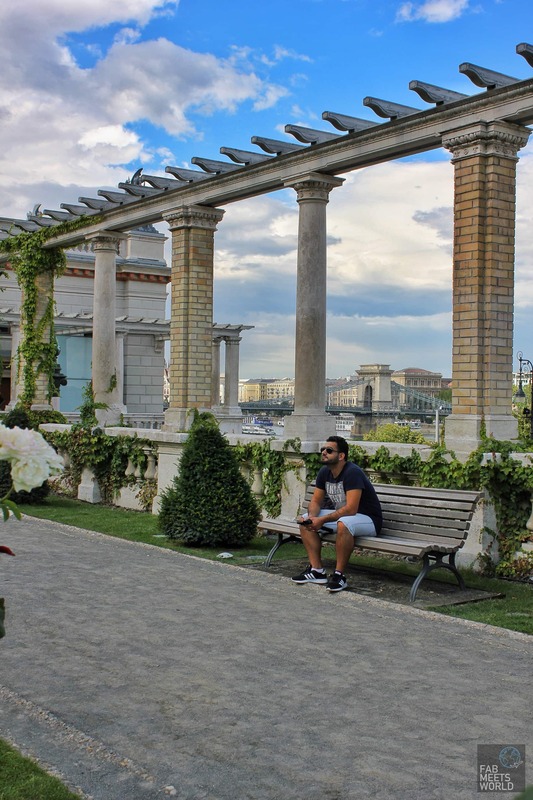 The architecture surrounding the gardens will make anyone want to pull out their camera and with some great riverside views of Budapest, it’s a place I’d definitely recommend visiting. 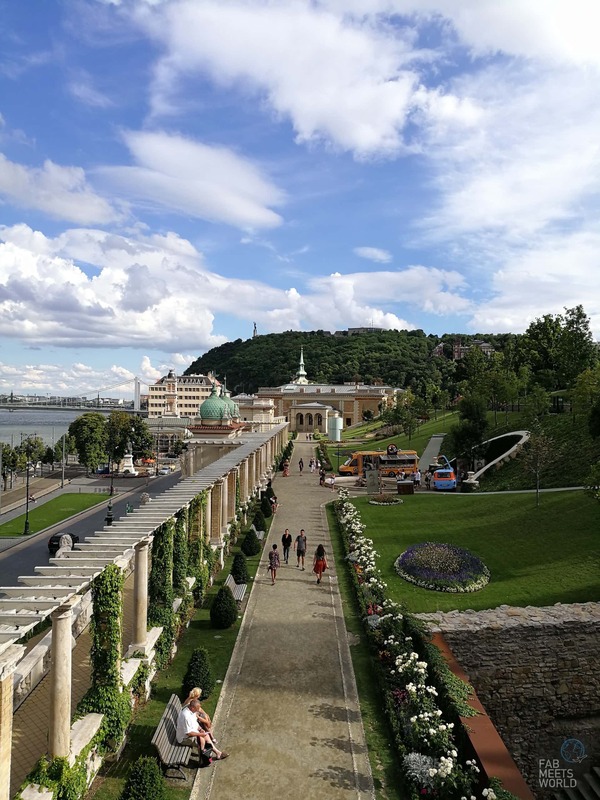 With Buda Castle Gardens out of the way, we climbed up (a lot of) stairs to finally reach Buda Castle. The day was getting a little grey and gloomy again, but it didn’t take away from the grandeur of the castle; it’s a bold presence when you look at it from anywhere in the city! There was some sort of exhibition happening on the day we visited — something Geets and I just weren’t interested in — so we skipped the inside of the castle and roamed the outside instead. Before we knew it, the clouds were transforming from grey to black and lightning started lashing down. It looked ominous, and we were quite a long way from the comforts of our Executive room at the Corinthia Hotel Budapest. We took a few quick snaps while we could and decided to find a riverside restaurant for shelter until things calmed down. 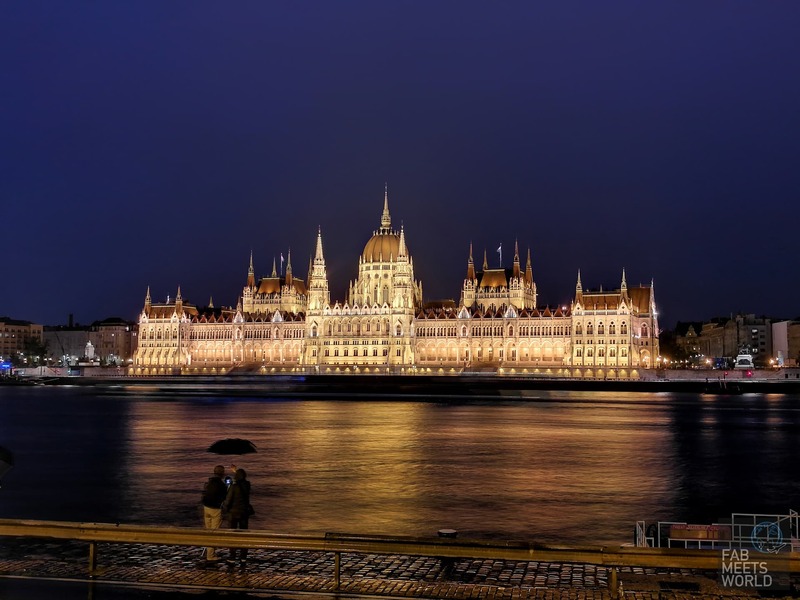 The Hungarian Parliament in Budapest. What do you think of this shot? Most people assume this was shot on a professional DSLR camera, but in fact, it was shot using “Night Mode” on my Android smartphone, the Honor 8 Pro, and a mini Manfrotto tripod. Surprised? So was I. I’ve edited the image but even so, it’s super impressive that a smartphone was able to pick up so much detail in poor lighting conditions. Here’s another photo I took of a random church with the same setup. So there you have it guys: that’s day 3 in Budapest! 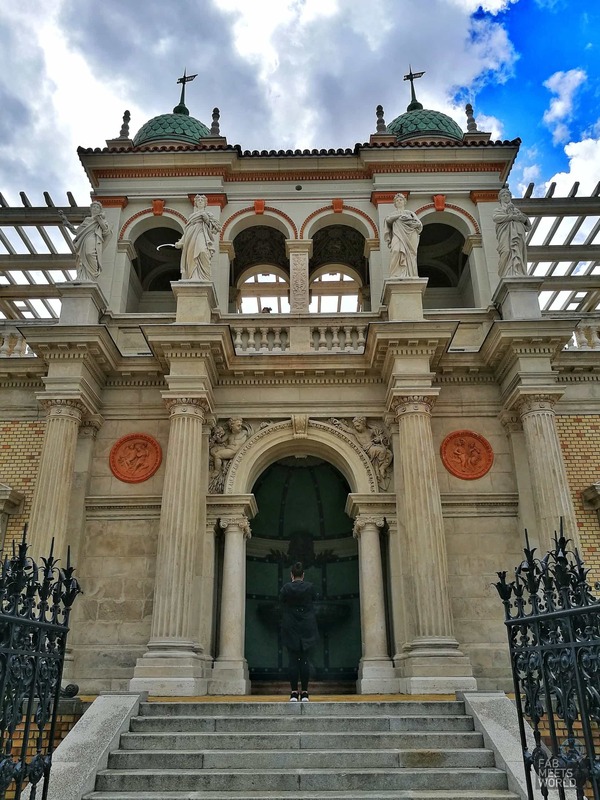 If you’ve enjoyed my photos and want to see more, make sure you’re following me on Instagram and to catch my latest travel videos, subscribe on YouTube here. 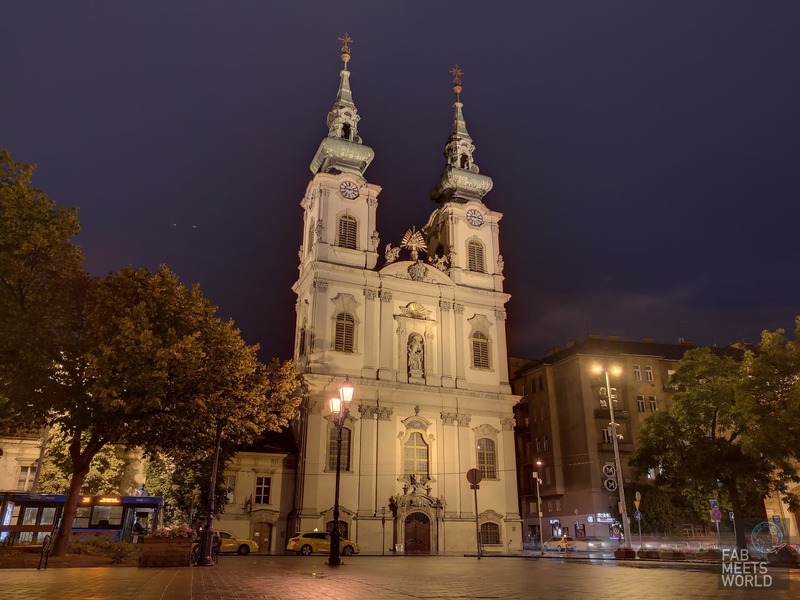 Stay tuned for day 4 in Budapest!